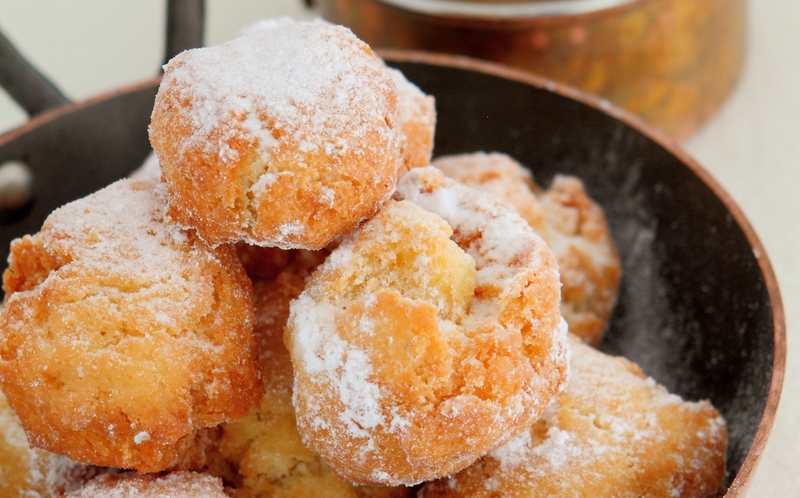 These adorable Castagnole Italian mini-doughnuts are easy to make and perfect for tea time. Pour the milk into a pan with margarine, palm oil, sugar, salt, vanilla extract and lemon zest and bring to a boil. Remove from heat and mix in flour and baking powder. Stir vigorously and transfer the mixture into a bowl. Add the eggs slowly, stirring carefully, until the mixture is smooth but not liquid. Heat palm oil in a frying pan, place walnut-sized scoopfuls of batter into the hot oil. Fry till golden, then remove with a slotted spoon and drain off excess oil on paper towels. Sprinkle with sugar to taste. Can’t wait to try! Looks yummy!